In the presence of H.S.H. the Sovereign Prince, Minister of State Serge Telle, President of the National Council Christophe Steiner, French Ambassador Marine de Carné-Trécesson, and senior officials from the Principality, a ceremony was recently held on Ruelle de Chanoine Franzi to pay tribute to two figures of the French Resistance on the Côte d’Azur who were arrested in Monaco on 3 and 7 July 1944. After a speech in which he recalled the commitment shown by the two martyrs and outlined his vision for remembrance of the period, H.S.H. 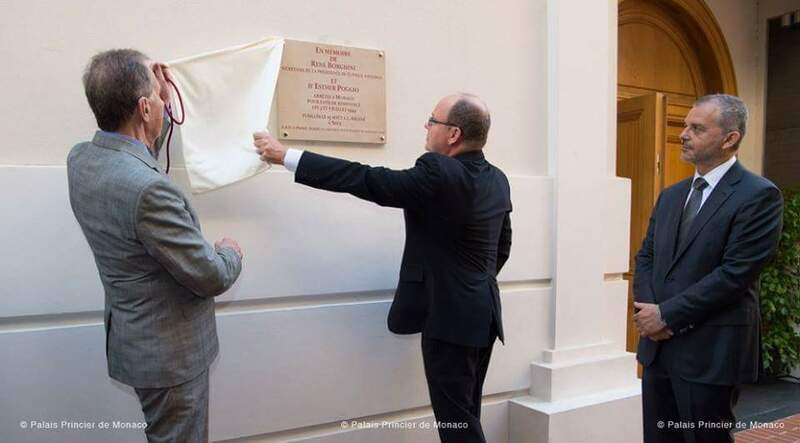 the Sovereign Prince unveiled a plaque on the outside of the National Council building. 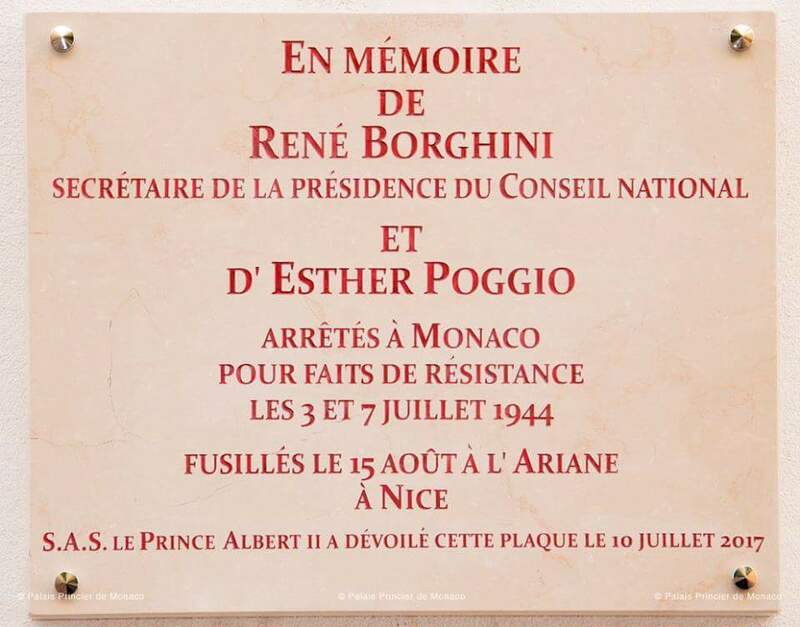 The plaque honors the memory of René Borghini, the former Secretary to the President of the National Council and member of an intelligence network, and Esther Poggio, his liaison officer, who were shot by German soldiers on 15 August 1944 in the Nice district of Ariane as part of a crackdown in connection with the Allied landing in Provence on the same day. The ceremony drew to a close with the traditional bugle call La sonnerie aux morts and a minute of silence. 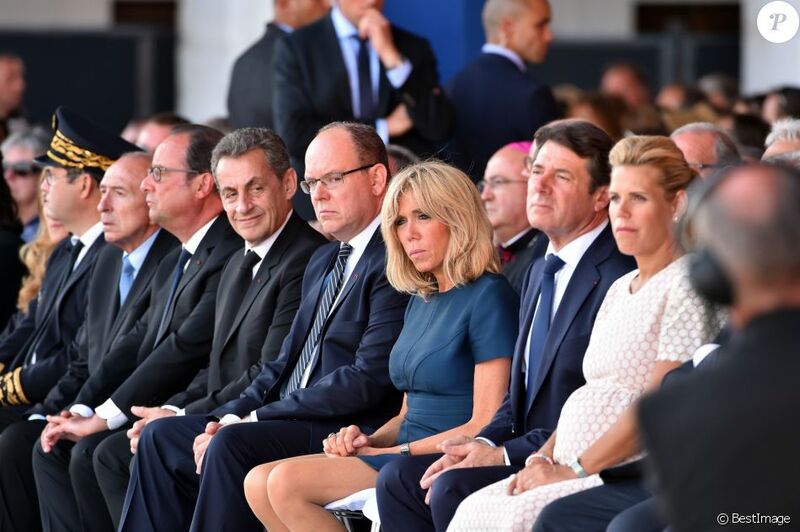 It was attended, in addition to the families of the two Resistance fighters, by the Fédération des Groupements Français de Monaco (Federation of French Groups in Monaco), the Comité de commémoration d’époque (Committee for the Commemoration of the Period) and La mémoire des fusillés de l’Ariane (Association to Commemorate Those Shot at Ariane). 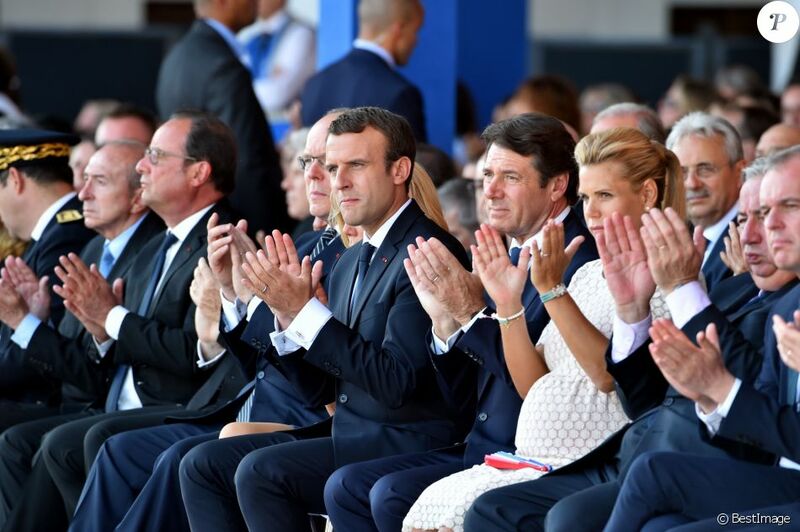 In a sign of national mourning that transcends political divides, Macron’s predecessors François Hollande and Nicolas Sarkozy flew with him to Nice on the presidential plane. 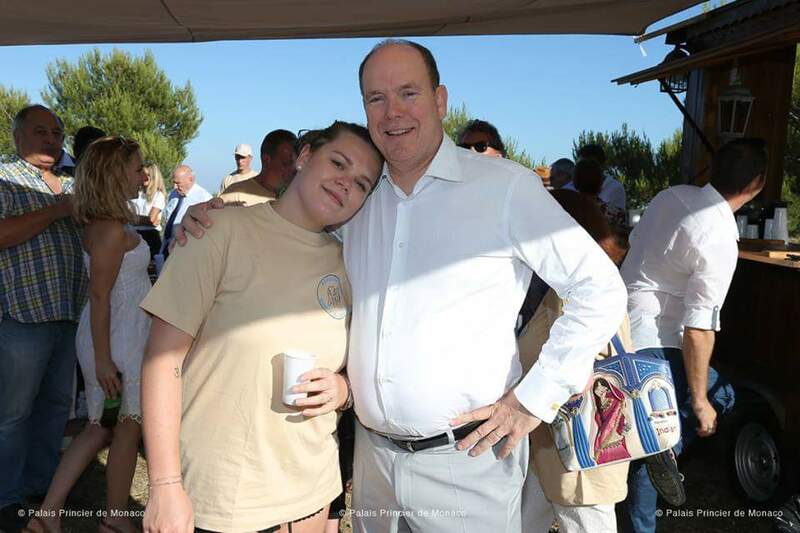 HSH Prince of Monaco Albert II also joined the party to pay tribute to the memory of victims of the attack in Nice of 14 July 2016. This weekend, the sovereign and nine international graffiti artists painted in the port Hercules for charity Prince Albert II tagged an A and a C in a heart for Albert and Charlene. Last weekend, dressed in a white smock to protect his suit, Prince Albert II painted a pink tag on a wall in the Principality. Okay, okay, it was not a real wall. Prince Albert left a sweet message for his wife on one of the ten ephemeral walls installed on the Hercules port. Event name: UPAW: Urban Painting Around the World. A first in Monaco. International graffiti artists performed live in front of the public. Each of them painted a canvas 6 metre long by 2 metre high, on the theme of the protection of the oceans. Mr. OneTeas and eight other graffiti stars were contacted and accepted the principle of creating a work on an ephemeral wall, respecting the theme of ‘protection of the oceans’. A theme that was not thought of by chance: the nine giant pieces, as well as eight suitcases tagged by the artists, will be auctioned off on site under the Artcurial hammer. Profit from the auction will go to the Prince Albert II of Monaco Foundation. A tenth piece was also part of the sale. Of equivalent size, it was tagged by visitors – notably by Prince Albert II himself. This painting will be sold in full or in the form of a triptych. The Princely graffiti will certainly be the most prized. 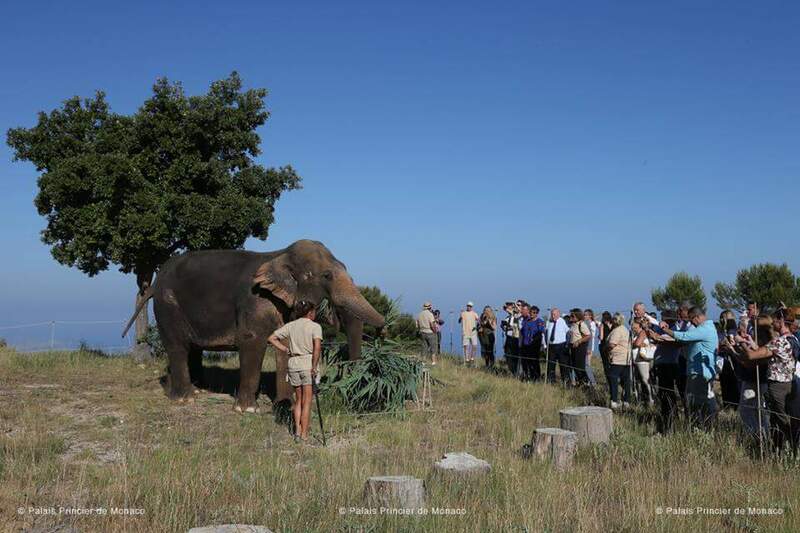 HSH Princess Stephanie organized the fourth anniversary of the rescue of elephants Baby and Nepal in the presence of HSH the Prince, her children Louis and Camille and many guests. 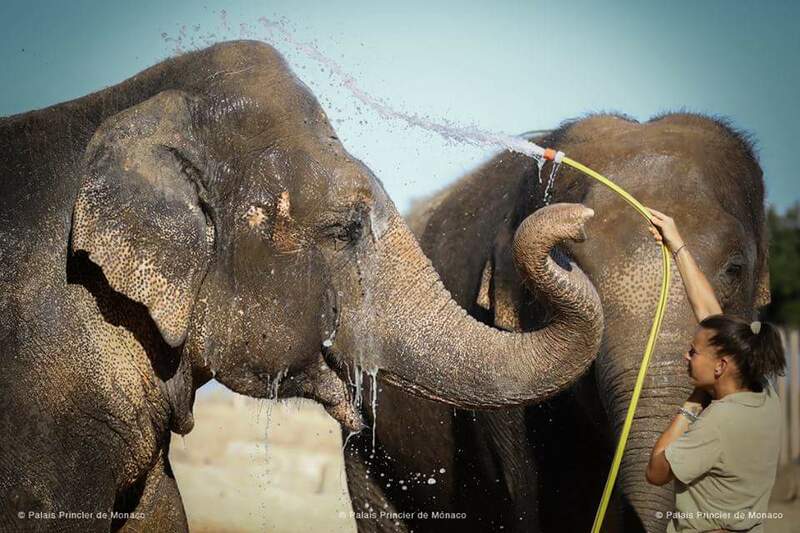 The two elephants were to be euthanized in 2012. 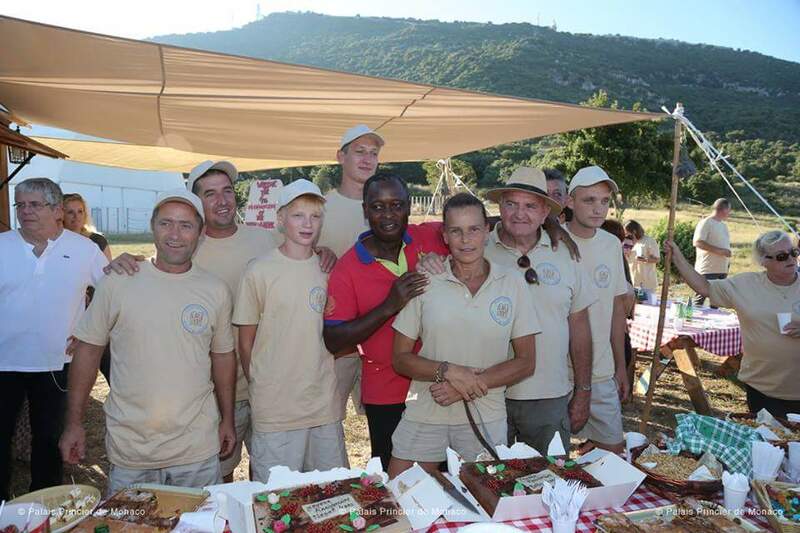 Princess Stephanie decided to welcome the two elephants to the Fonbonne estate (45 hectares) in the commune of Peille. Thanks to Princess Stephanie, surrounded by a team of professional caregivers, Baby and Nepal are now enjoying happy lives.